US Conec's dry cloth cleaning systems are the most advanced fiber tip clearing products available today. 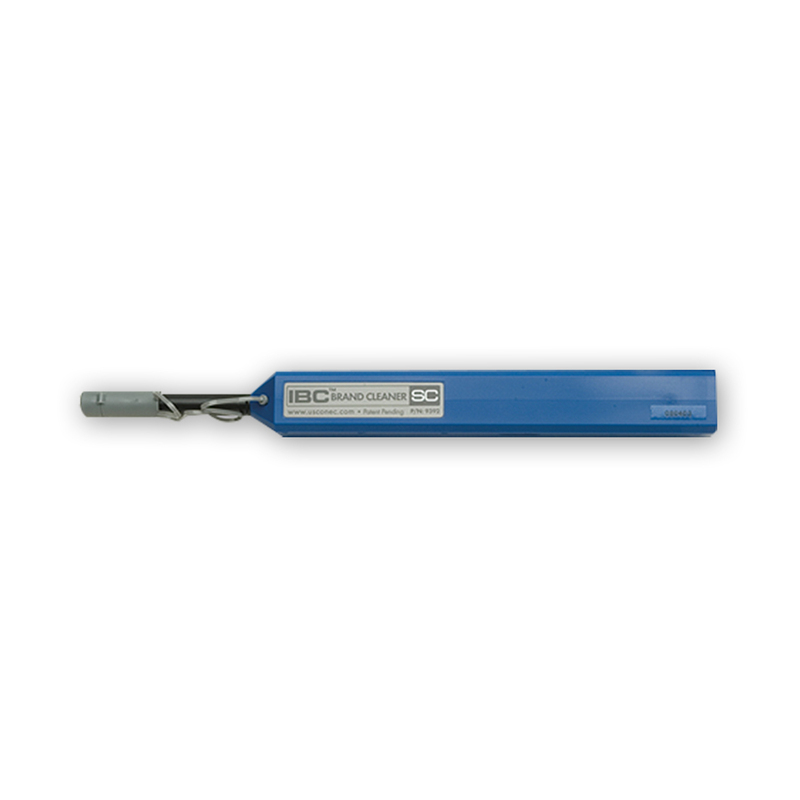 The unique, densely woven micro-fiber cloth provides superior clearing performance while minimizing static charge, ensuring that debris is not instantly attracted back onto the fiber tips like other cleaners. 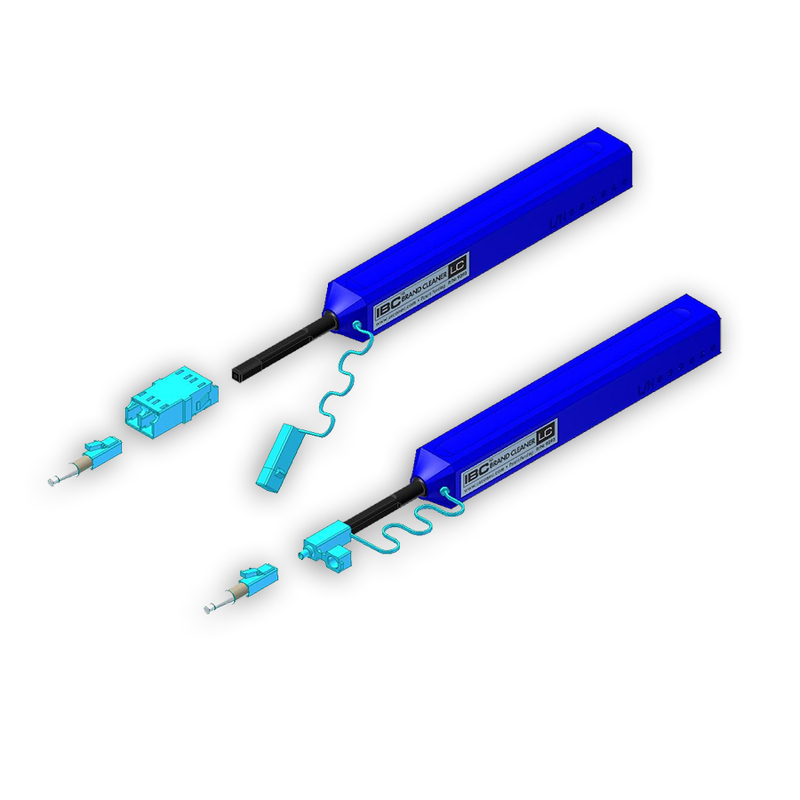 Today's optical networking components requiring minimal insertion loss and back reflections demand, quick reliable cleaning solutions. Fiber tips containing even trace amount of debris not only suffer from power degradation but also an increased likelihood of permanent damage when mated. 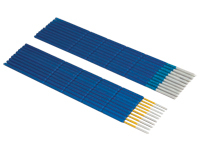 Product variation include a variety of solution that make it easy to use on most fiber connector types, and in any fiver or lens cleaning situation. The cost and performance of these cleaner make it an easy choice over competitive solutions. The US Conec IBC Brand Cleaner are dry cloth cleaners specially designed to clean single fiber connectors residing in an adapter, faceplate or bulkhead. The dust cap of the cleaner acts as an adapter for cleaning unmated connectors. The US Conec IBC Brand Cleaners for simplex connections are simple to sue and highly effective at removing oil and dust contaminants that can negatively impact optical performance. The USConec IBC Brand Cleaners for multifiber connections are the first dry cloth cleaners specially designed to clean MT ferrule based connectors placed in an adapter, faceplate or bulkhead. This family of cleaners will clean both male (with guide pins) and female (without guide pins) MT ferrules. The cleaners effectively remove contaminants from both lat multimode and angled polished singlemode ferrule end faces. The US Conec IBC Brand Cleaners for multifiber connections are simple to sue and highly effective at removing oil and dust contaminants that can negatively impact optical performance. USCONEC 6338 OPTIPOP R cassette cleaner - Single Slot. 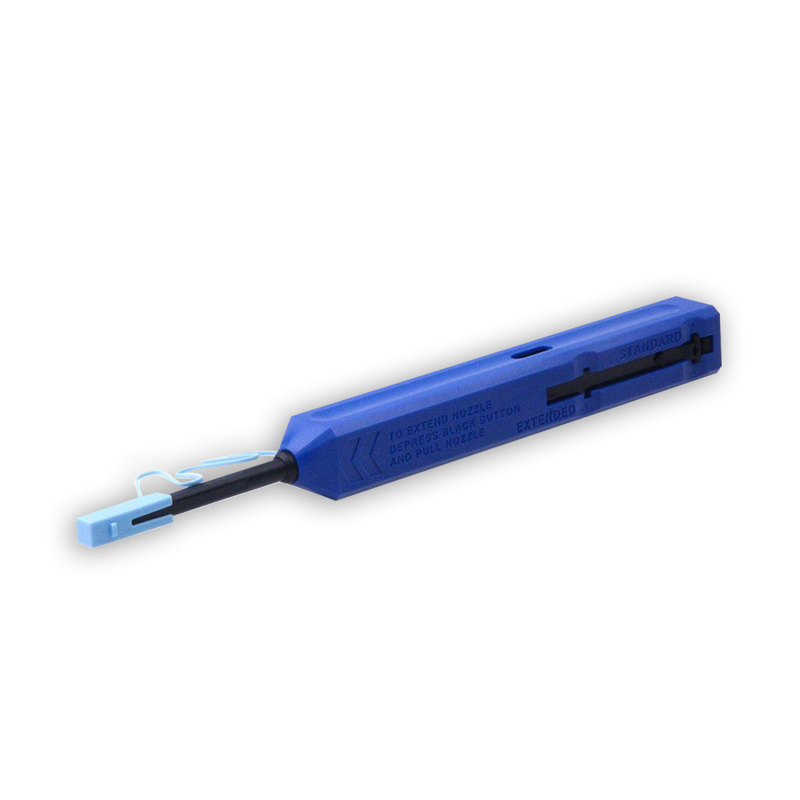 The OPTIPOP R is a cassette style fiber optic connector cleaner system that can be refilled for reducing cleaning costs. 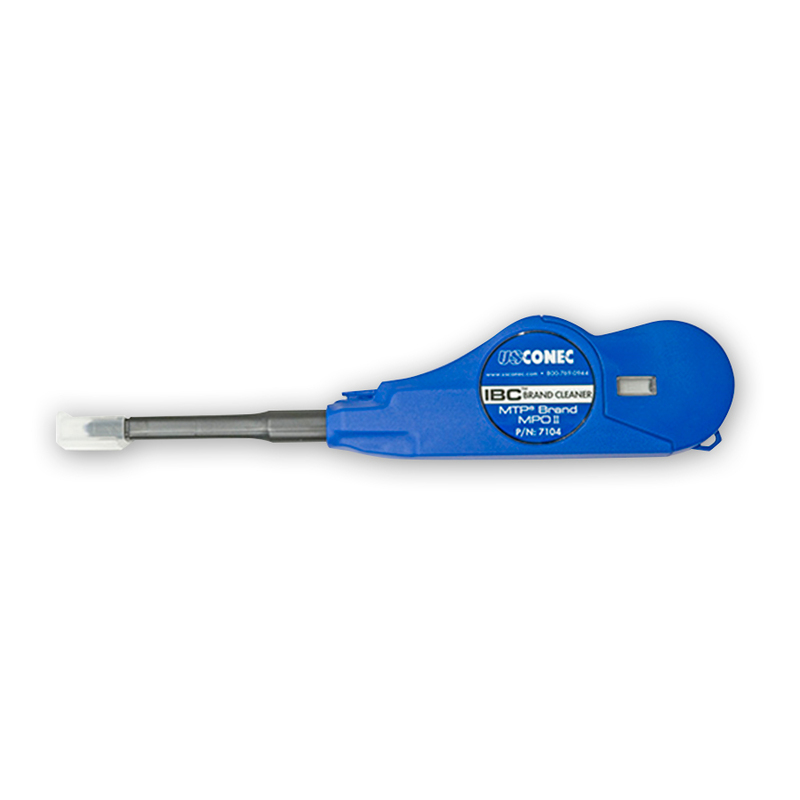 It uses a densely woven micro-fiber cleaning fabric to remove harmful contaminates off of the ferrule end face. 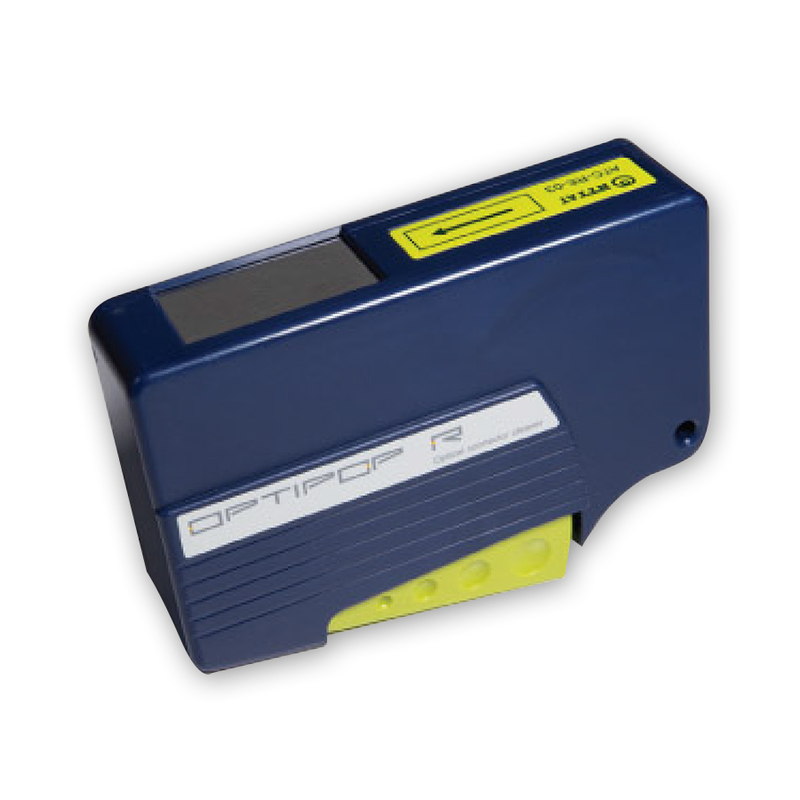 The OPTIPOP R cassette cleaners will accommodate all single fiber connections. IS Conec has version of the OPTIPOP R Cassette cleaners that are designed specially for cleaning multi-fiber connector systems including the MTP Brand Connectors, standard MPO and MTRJ connectors for both singlemode and multimode connectors. The customized OPTIPOP R cassette cleaners will accommodate the alignment guide pins on male MT ferrules. US Conec has a version of the OPTIPOP R cassette cleaner that is ideal for field use at FTTX work sites. 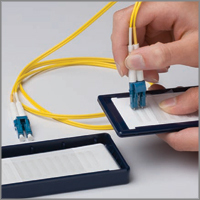 This version accommodates the OptiTap connector housing making it ideal for technicians that need to clean OptiTap plug connectors on drop cables. The anti-static cloth material produces a pristine fiber tip and minimizes contaminant attraction. The cleaning fabric is pre-washed and produces less than 70pcs/CFM of particles > 1mm in size, making this system excellent for use in any production environment including clean rooms.